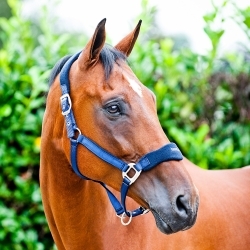 Smart halter with padded fleece at nose and neck strap. The fleece makes the halter soft and helps to avoid rubbing. Zinc-satin buckles. Adjustable at both sides of the neck and under the muzzle.